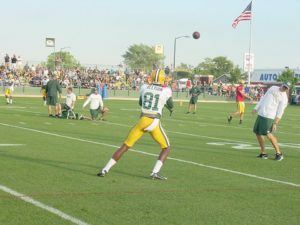 Geronimo Allison in training camp practice last season. Green Bay Packers wide receiver Geronimo Allison has been suspended one game without pay for violating the NFL substance-abuse policy. Allison was charged with misdemeanor marijuana possession in December after he was pulled over for speeding on I-43 near Francis Creek. He reached a settlement in the case and will pay $330.50 and perform community service. The charge was amended to an ordinance violation. The Packers will open the 2017 season against the Seattle Seahawks on Sept. 10. Allison, who can participate in all preseason practices and games, can then return to the active roster on September 11. Allison likely lines up in the fourth spot at receiver, behind Jordy Nelson, Randall Cobb and Davante Adams. He started the 2016 season on the practice squad and moved to the 53-man roster in October and finished the season with 12 catches for 202 yards and a pair of touchdowns. He then had five catches for 65 yards in the playoffs. 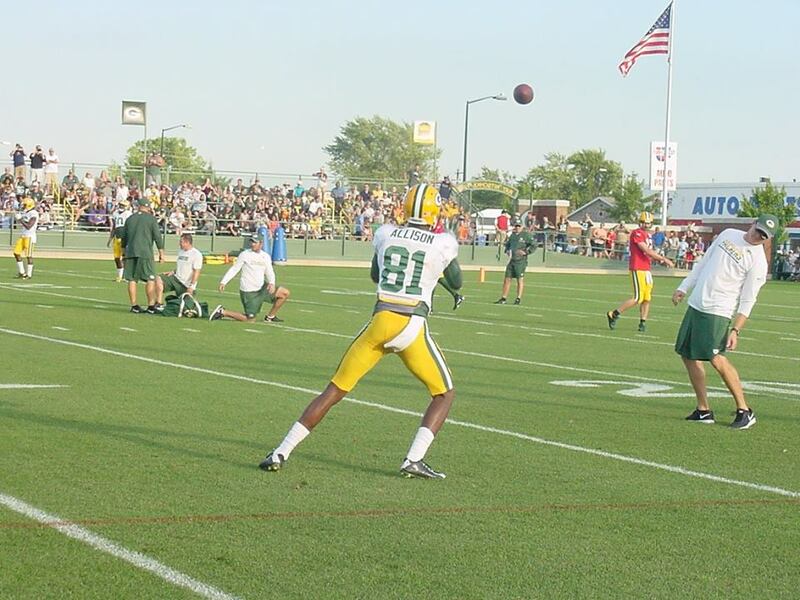 The Packers report to training camp next Wednesday with the first practice set for Thursday, July 27.